All of our systems are custom designed to the site. Whether your project is a direct purchase, financed or Power Purchase Agreement (PPA), our professional engineering staff works in combination with our financial team to design the right combination of quality equipment that will yield your unique property’s maximum return. With Beaumont Solar you get The Power of Vertical Integration. This means within one company we engineer, design, install and maintain every system we implement. For the end customer, the result in a more streamlined, reliable, cost-effective renewable energy system delivered on time and on budget. Ultimately, this means you will get the highest value system at the lowest price. 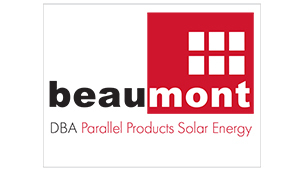 Beaumont Solar is recognized for providing best-in-class technologies backed by our unmatched construction capabilities, designing and implementing the most advanced, affordable, fixed-rate energy solutions across all business sectors.